The Yukon river is over 2,000 miles long, flowing northwest from Canada through the Yukon Territory and Alaska to the Bering Sea. Every summer, hundreds of thousands of King salmon migrate the distance of this river to their spawning grounds, where they breed and die, in what is the longest salmon run in the world. For the communities that live along the Yukon, the fish have long been the lifeblood of the economy and local culture. But with the effects of climate change and a globalized economy, the health and numbers of the King salmon are in question, as is the fate of the communities that depend on them. Travelling in a canoe along the Yukon as the salmon migrate, a four-month journey through untrammeled wilderness, Adam Weymouth traces the profound interconnectedness of the people and the fish through searing portraits of the individuals he encounters. He offers a powerful, nuanced glimpse into the erosion of indigenous culture, and into our ever-complicated relationship with the natural world. 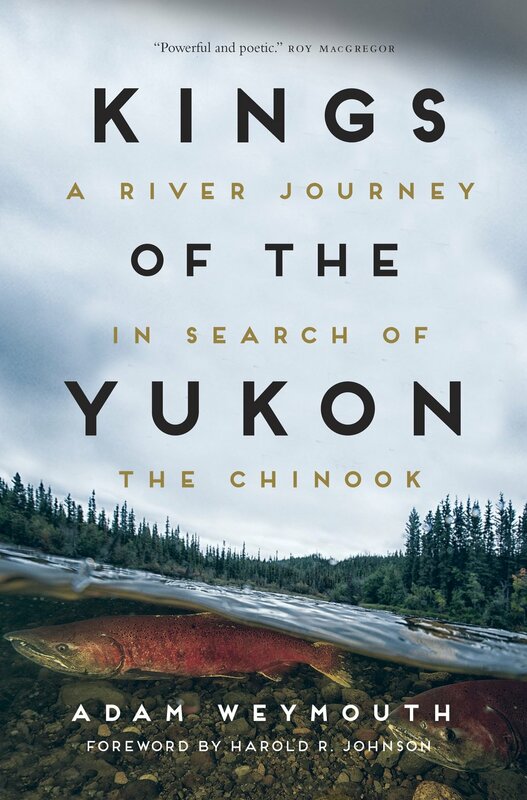 Weaving in the history of the salmon run and their mysterious life cycle, Kings of the Yukon is extraordinary adventure and nature writing at its most compelling.